Have you ever thought of the implications of vehicles not having a driver, and therefore what they might be able to look like? Driverless cars have been in the news in the past, particularly Google’s self-driving car back in 2014. We’ve even seen changes in what our standard cars can do too, including parking themselves and braking if they sense the risk of a collision. If a collision does occur, the car can ‘call’ the police for us, alerting them of the location of the crash and also unique data about the vehicle, such as its unique VIN number. Our cars are getting smarter, and creating less risk of human error. A standard car has lots of accessories and gadgets that are required for a person to drive and control it. These include seating, a radio, a dashboard, dials, a steering wheel, and pedals. But, these things are all reliant on a person being present to control them. An autonomous car, therefore, doesn’t necessarily need them. Racing cars are clearly very different to standard road cars. In fact, most racing cars aren’t road legal because they don’t have standard features such as headlights or indicators. They forgo any extras to make the car as light and fast for the purpose of racing. Race car drivers definitely don’t need a radio to listen to; they wouldn’t even hear it over the noise of the engine. However, most people would be disappointed if their car didn’t come with a sound system to keep them entertained on their journey. The tyres are different to those in a standard car because of the speed and heat the car can go up to. The tyres on a racing car aren’t made for standard driving as they need to be brought up to a working temperature to drive efficiently. This would mean driving at speeds of 100mph and braking suddenly to ensure the tyres and brakes are working as they should. This would be dangerous on typical UK roads. This means that a self-driving road car would be extremely different to a self-driving racing car. But, autonomous racing cars would change the world of competitive driving forever. It would take out the risk of human error, and the focus would be on the cars rather than the skill of the drivers. This takes us back to our original question: what would such vehicles look like? Luckily, we’ve got the answer for you. 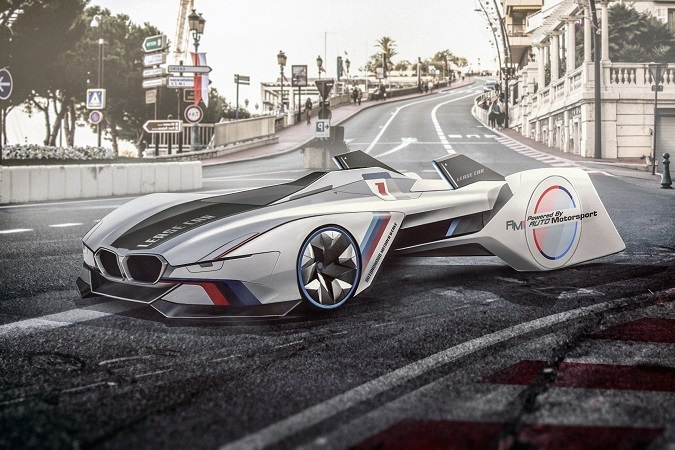 We have designed 6 racing cars that have been reimagined as driverless. Each one has been made more aerodynamic, due to there being no need for a driver. They don’t have windscreens or headlights. 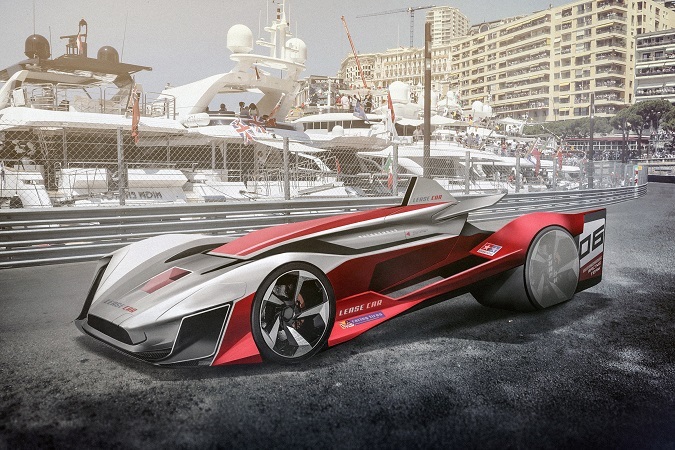 The designs of the cars have all been inspired by some of the biggest brands in sports’ car history. They also maintain the brand’s standard look, so the Ferrari is the classic ‘racing red’ and the Bugatti has the colours of the French flag on the back of it. 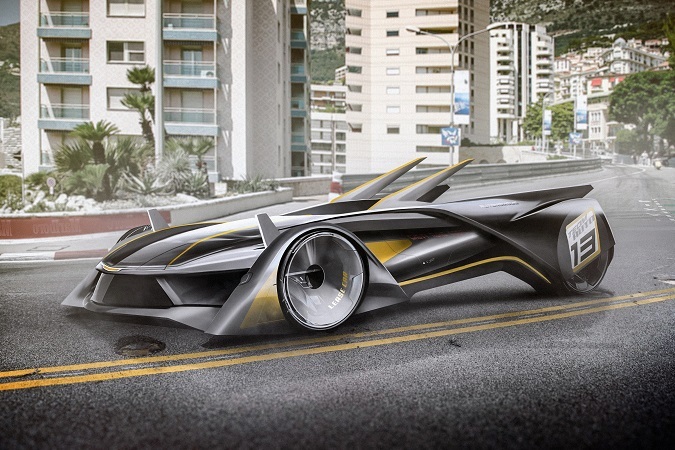 Do you think this is what autonomous cars of the future will look like? We’d love to hear your opinions. You can join the conversation on social using the hashtag #AutonomousRacing.